We live in a time when people look everything up on the Internet before checking it in person. Same goes for the restaurants. Knowing that you should take a close look at reviews about your restaurant online. Does your restaurant online marketing influent your place’s reputation? It should! And here’s how to do it. Don’t underestimate an importance of restaurant online marketing. Everything starts and ends on the Internet. From the moment your potential customer finds your restaurant online, through their visit at your place, to the moment they share their opinion online. Remember to take care about every single detail, because you are being watched all the time. Your customers’ reactions are the best indicator of how good is your restaurant marketing. You must observe your customers as close as they watch you. Watch as they smile, capture the moment when they frown – if necessary, ask them what is wrong and what’s more important: how you can make things better. Even if you can’t fix things straight away, they will appreciate you trying. Good will goes a long way. If you are serious about your restaurant, you should invest in it. How else would you win your customers better if not through a good advert? 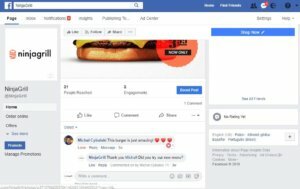 Having an advertisement popping out on Facebook and Google is one of the biggest advantages of restaurant online marketing. It reaches to much more customers than just an update on your website. Hopefully you were never a victim of black PR by your Competition. If you were, you probably want to have control over what people comment about your restaurant and it’s quite possible. As you start using online food ordering system like Up Menu, you can take over reviews. You will get them only from people who actually use your services (because they share their feelings whilst they make their order) and only you – an owner – can see it. 4. What about social media? Almost all of your customers use Facebook, hence they are familiar with your restaurant Facebook page. You can use social media to share your special offer and your customers can use it to write a review – either good one or a bad one. However, you have to remember that if you don’t manage your social media well (and this includes your restaurant Facebook page), you won’t get a positive review even if you deserve it – it’s because people don’t like to visit empty or died out pages. You or your workers should read every single opinion that a customer left behind and you should respond to all of them. Good restaurant online marketing rests on thought-out interactions and replying not only to positive reviews, but also to negative ones. If you handle the bad reviews well, your restaurant’s reputation won’t suffer at all. When your customer gives you a piece of advice about how to make things better at your restaurant, you are probably promising them that you will do whatever it takes to fix it. But do you actually mean it? If you say you will take care of a particular thing and then you don’t do it, your customers will see it and draw a conclusion that you were not worth giving a second chance. Remember, there are no third chances in life! Change what your customers want you to change (if it’s constructive criticism). Economic studies show that potential customers often choose the restaurant by only looking at the reviews on the Internet – the price and the menu doesn’t matter as much. In fact, it is proved even half-star in ratings (on a scale of 1 to 5 stars) can increase bookings for the evening by 30-40%! Keep that in mind before you decide to make light of your customer’s advice or a comment. 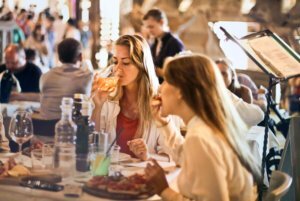 Read more about restaurant marketing in our article: 6 restaurant marketing tips to make sure customers love your restaurant.